Remember Me is not a sum of its parts. That’s an important factor to keep in mind as you progress through this game, and frankly, is quite counter to a majority of experiences out there. This title is trying to tell a complex story in the world of interactive fiction, which has been tried before with varying results, and manages to keep its focus on the big picture instead of being bogged down by the limitations of a video game. As I played through it was fascinating to me how I wanted to keep note of the little gripes and problems I was seeing instead of paying attention to what was going on. This is the one large hurdle, or caveat if you choose to view it as such, that separates whether you will enjoy Remember Me or pitch it to the wayside as a product of the end of this cycle. Keep in mind it is by no means perfect, or even groundbreaking, but it offers a story and world that are unique and manages to maintain suitable gameplay that makes progressing the plot intriguing. 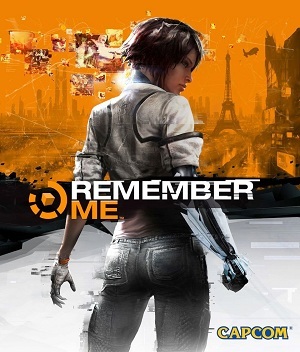 Remember Me is the pinnacle of a cyberpunk story – it takes place in 2084, memories are shared experiences in a social network, the city of Paris has been renamed to Neo-Paris – so everything will feel a bit familiar for fans of the genre. A corporation named Memorise has established technology and networks that allow you to extract, share, and sell memories, which has gotten so popular it controls a majority of the population. As with any cyberpunk story, whenever there’s a large controlling corporation there is always an underground group set on bringing it down, in Remember Me they are called “Errorists”. You control female protagonist Nilin, who in the prequel chapter awakens in a Memorise facility for memory erasure. This is not circumstantial, Nilin was a clear target given her alliance with the Errorists and the fact that she can steal and alter other people’s memories. With the help of Errorist leader Edge, Nilin works her way through the roughest and nicest neighborhoods of Neo-Paris in an attempt to take down Memorise. It’s good to see a story that revolves around the tangible world, which is often ignored or background in cyberpunk. While the setup may be relatively standard, I found the overall plot and especially the final hours, to be a unique twist that rarely happens, particularly in video games. Gameplay varies, switching between different styles and formats, but essentially it’s a brawler and platformer with mini-games sprinkled in from time to time. 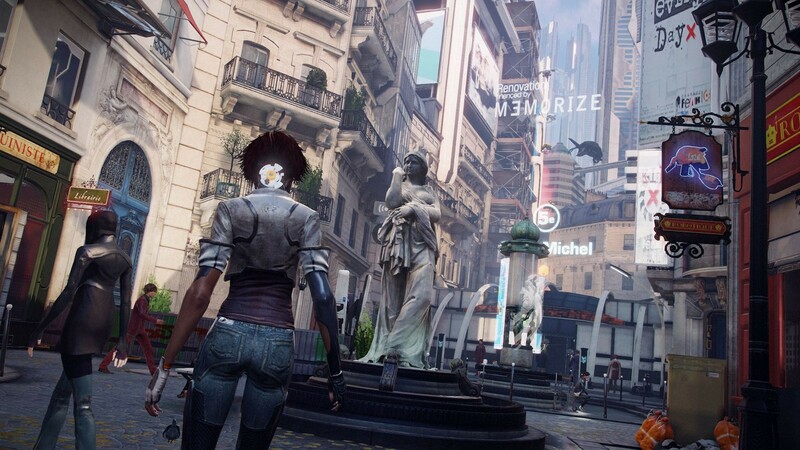 It will be tempting to compare gameplay to several games – Remember Me is acutely aware of what was popular this generation – but contextually it shares nothing more with the titles you could reference so I don’t feel there’s a point. 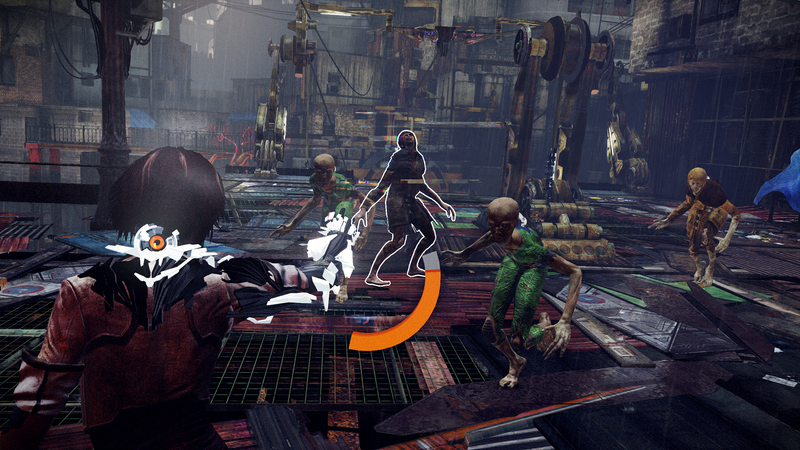 Brawling is a timing-based system of combos and dodging – the unique aspect in this game being the ability to add a perk to each hit of a combo allowing you to modify battle to your play style. In addition you receive special attacks that assist in taking down specific types or certain combinations of enemies, which is the brunt of the diversity in combat. After an episode or two the battles flow in such a way that they are not only manageable but also satisfying displays of your abilities. 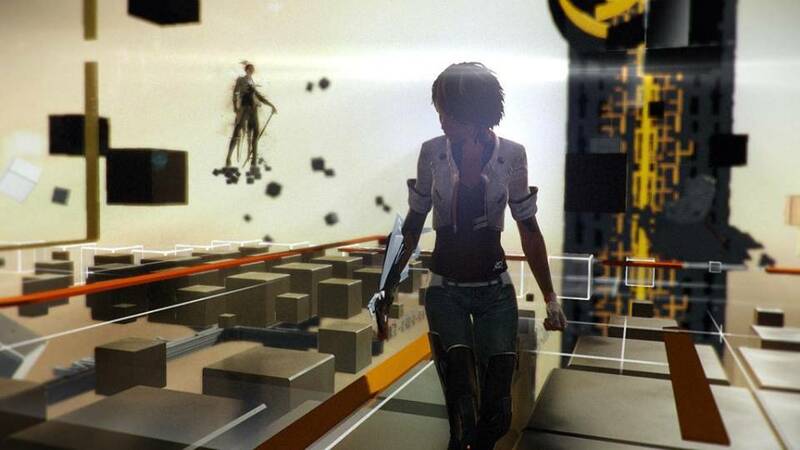 Platforming is hindered a bit by the disconnect between Nilin’s pathetic static jump and her impressive leaps when aiming for a specific ledge or platform. Throughout the campaign you will leap gaps, shimmy across platforms, scale large exteriors, and climb about with relative ease. Instead of the popular glowing ledge Remember Me provides contextual arrows to guide where you can go next but it’s unnecessary because Nilin will most often not allow you to jump to somewhere she can’t grab on to. I’ve heard claims of stealth in the game, but save for a few “dodge the robot’s line of sight” instances, there’s none to speak of. At times you will be able to remix someone’s memory, which is mostly watching a cutscene with the ability to control speed and direction of playback while searching for little areas that you can change to impact the memory. As a result a simple fight between lovers can result in a murder or a basic medical procedure can end horribly, but only in that character’s mind because you aren’t actually changing history. There’s only one result the game wants you to get, but I was amused that making changes to the wrong outcome still allows you to see what could potentially happen despite the game forcing you to go back and choose the correct path. Most episodes end with a boss battle that harkens back to the days of puzzle bosses that require you to try various tactics and pattern recognition. I personally enjoyed the boss battles and found them to be an appropriate change in scope and battle, but the final matches do end up being quite derivative. Developer Dontnod is an independent studio from France that includes art director Aleksi Briclot, best known for his art in Magic: The Gathering, and science fiction writer Alain Damasio (although all of his books are in French) as predominant members of the studio. It shows. The world created in Remember Me is vibrant with that bright neon exterior hiding a cold and heartless mechanical nucleus. Neo-Paris has depth, a layout, neighborhoods, and a is an established world from the start. Not only that but the graphics looked great, even on the 360, with a consistent framerate no matter what was happening. Unlike many other 3rd person action platformers, this game is as linear as it comes with few opportunities to explore or even wonder off the beaten path. I know this may seem like a discredit to the created city, and perhaps it is, but the direct progression of the episodes allows the story to stay on point and the player to remain focused, albeit at the expense of the hard work put in behind the scenes. I also felt the world was a bit scant in terms of population. You will encounter an occasional citizen or street vendor, but they don’t directly interact with you and all of the homes and apartments you find yourself in will be void of human life whether it’s the middle of the day or the middle of the night. Sure, Dontnod threw in a bunch of random housekeeping or maintenance cyborgs as placeholders within the environment, but I found those to be as remarkable as the random furniture in the room. The back third of the game also involves many areas that look identical and granted the plot justifies the setting but I was hoping to see more of the dazzling atmosphere that is introduced in the first half of the game. Remember Me not only has a series of technical missteps but also some conscious decisions that break immersion so distinctly I’m surprised they were left in. For starters the load times, even installed on my Xbox 360, were extremely long. Given that most of the times I had to reload were sudden action scenes that required you to know what was coming next to react or cheap deaths because Nilin didn’t register you were leaping to a ledge instead of her simple hop, it was aggravating. I still don’t understand why games today have those intense action scenes completely focused around twitch reactions and then force you into specific routes or curveball counterintuitive inputs, it’s annoying and reminds me I’m playing a video game. Thankfully these sequences are few and far between here. Since Remember Me is so linear and scripted, there were a few times in the campaign where contextual events like a door opening or ledge dropping simply didn’t happen and I was forced to reload a checkpoint. I’m not sure how widespread this was (I played a retail copy pre-release and there were no online updates during this time), but with the long load times and general confusion it was a rare but unpleasant occurrence. Furthermore the dialogue is somewhat lacking, with most conversations being monologues or banter between Nilin and Edge, but hidden within this dialogue are often major plot points. If you’re not paying attention, which can be somewhat difficult while you’re running around and trying to figure out where to go next, you may miss large reveals in the story. They continue to be reinforced, but no one likes to piece the story together contextually. Remember Me is trying to tell a complex interactive story without sacrificing the gameplay that so often falls to the wayside in games of this type. I can already tell that several factors are working against it: it’s a title that comes late in the generation, it’s only single player, the campaign is around 12 hours long, it’s riddled with “take it or leave it” mechanics, and it doesn’t do anything all that new. Still, I feel that this project was handled with enough care to justify the packaging it comes in – not all single player games should be $60 but the production value appears to justify the cost. I can see where this is going to be popular among the crowd that latches to cyberpunk or deep single player experiences, something definitely lacking in today’s gamespace, but I fear that the typical turn-and-burn gamer will find nothing compelling about it. Still, if you want to play a game that centralizes around the story and unfolds with decent gameplay and a few eyebrow raising mechanics, Remember Me is sure to satisfy. This review was originally written on The B-Team Podcast web site but the writer retained all rights to re-publish this review. Keep in mind that all comments are based on the first week of release. A review copy was provided by Capcom for the Xbox 360. Later in time the writer replayed this title on PS3 and noticed no inherit differences.